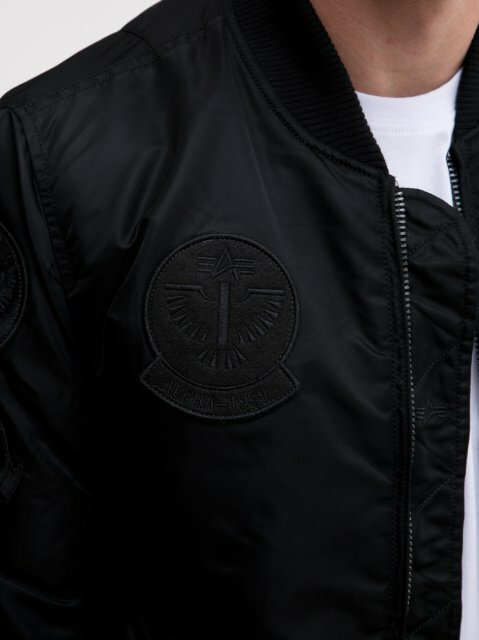 Alpha Industries jacket. MATERIAL: 100% nylon IMAGINATION: jacquard tag, material pendant, leather elements, velcro. Convenience and comfort. 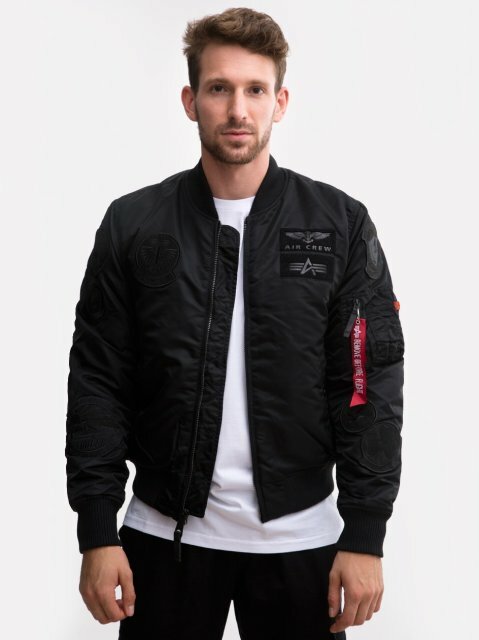 A cultured American military jacket launched in the mid 1950s for aviation. Made of 100% nylon to provide increased durability. In addition, the elastic, well-knit cuffs will increase resistance to low temperatures. 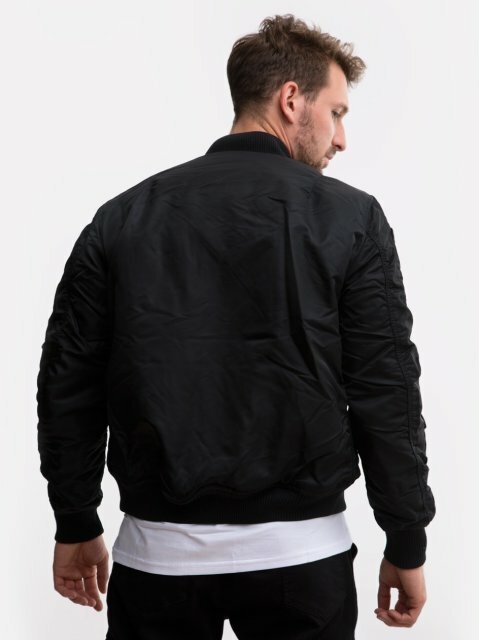 Sewn for the civilian population in the 70s to this day enjoys an enormous popularity and quality workmanship. ADDITIONAL INFORMATION: Fastened with stylish silver slider, additionally with windscreen cover. 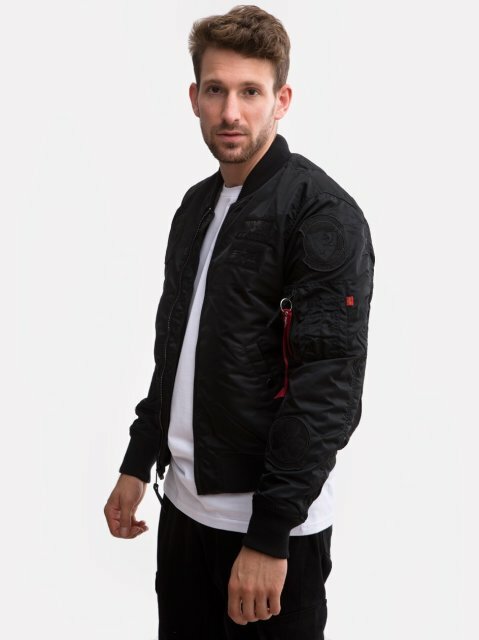 Five pockets - two fastened with a latch, sewn on a sleeve of the bomber type and two inside with a velcro closure. Elastic, comfortable pullers to hold the heat. Attach the pendant to the slider at the side pocket. Embroidered jacquard tags with logo. 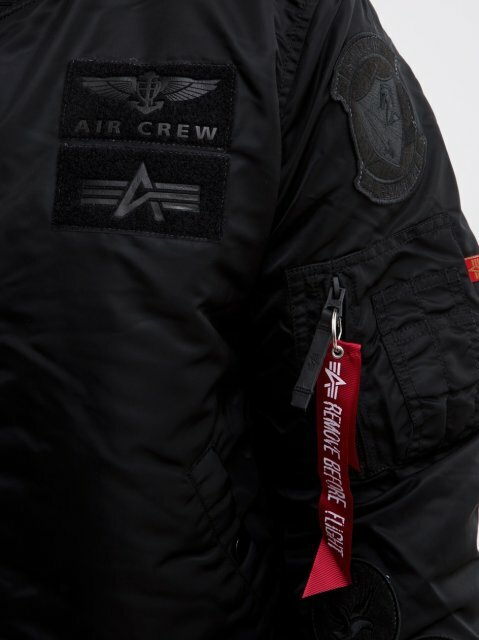 Numerous patches on the front and sleeves - hanging on the Velcro. Thoroughly finished lining. Model Cuba [76kg, 181cm] has a picture size L.